Do you know where Metal Gear Solid falls in the chronology? What about Metal Gear Solid: Peace Walker? Or Metal Gear 2: Solid Snake? For the past three decades (three decades! ), the Metal Gear games haven’t been released in chronological order. 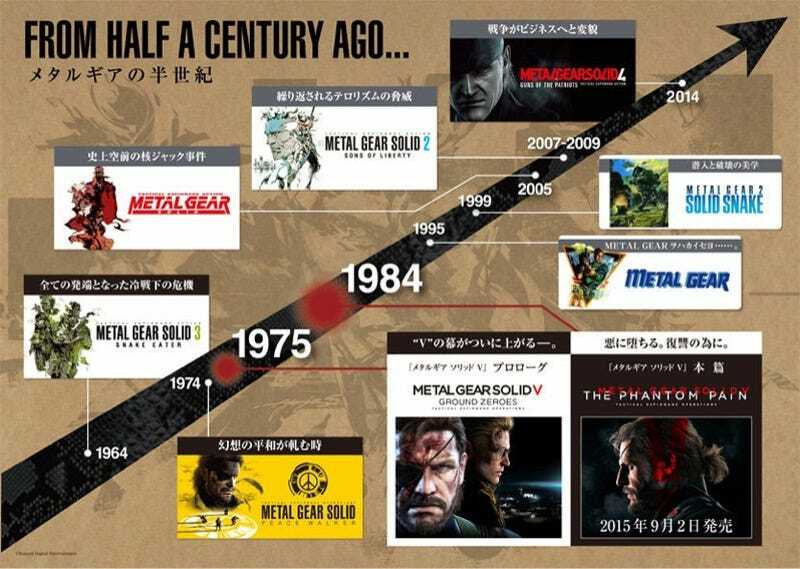 For example, last year’s Metal Gear Solid V: Ground Zeroes is set in 1975, while Metal Gear Solid V: The Phantom Pain takes place in 1984. And so on. Via PlayStation Japan, above is a handy chart to keep all the games in order. That, of course, being what happened to Hideo Kojima.